If you’re on the move a fair bit, or perhaps you just want something easy and convenient to access the internet with, have you considered an internet dongle or pocket Wi-Fi? Canstar Blue compares some of the top brands, including what’s available with Telstra, Vodafone and Optus. Dongles – or USB modems – and pocket Wi-Fi are becoming increasingly popular due to the drop in price of mobile broadband. Usually, you need a mobile broadband plan to make use of either a dongle or pocket Wi-Fi hub; and fortunately, telcos such as Telstra, Vodafone and Optus are all service providers that bundle in their mobile broadband plans with a device, making it an easy one-stop shop. Read on as we explain all you need to know about internet dongles, and take a look at the plans on offer. An internet dongle is usually a USB-sized gadget, that plugs into the USB port on your laptop or computer for when you need easy mobile broadband access. Basically, a dongle is a tiny, unpowered modem that uses your computer’s power to access the internet. Dongles generally come prepackaged with mobile broadband plans from Telstra, Vodafone and Optus. Just like with mobile phone plans, mobile broadband with these three providers is available as SIM-only, or as a bundled product. If you’re after a dongle from these three telcos, and want maximum convenience, you may prefer to opt for the bundled product. The main difference between pocket Wi-Fi and an internet dongle is the pocket version is self-powered, meaning that you can get away with not plugging it into a device’s USB port to power it up. A pocket Wi-Fi hotspot gets it name because it’s usually small enough to fit into a pocket, can be easily transported, but has the battery power to last for a few hours for wireless connectivity. A pocket Wi-Fi device is also somewhat of a hybrid between a wireless router and an internet dongle. It uses 4G internet from a mobile broadband SIM card, yet you can put it in the home – or just as easily take it with you. 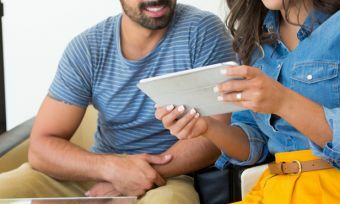 If you like the sound of a dongle or pocket Wi-Fi device for easy on-the-move connectivity, there are several Australian providers offering devices and plans. Generally speaking, you’ll be locked in for at least 12 months, while many plans include the device at no extra cost if you opt for a 24-month contract. Below are several mobile broadband options that can be paired with a dongle or pocket Wi-Fi device. These are featured products from referral partners. Perhaps the most notable pocket Wi-Fi device is the Netgear Nighthawk M1, and currently the only way to get it is through Telstra. If you’re serious about mobile broadband, you could bundle it with Telstra from $6 per month over a 24 month plan. Telstra’s mobile broadband plans start at $29 per month for 15GB of data, up to $89 monthly for 90GB. Plans are offered on a 24-month contract only, and you can also choose to bundle your service with other Telstra devices, including the 4GX Wi-Fi-Pro, and the Telstra 4GX USB for easy ‘plug-and-play’ use. Vodafone seems to have a few more options than others, and in the dongle range there are both prepaid and postpaid options available. Plans start at $15 per month for 3GB of data , and are available both as SIM only and on a plan with an included modem. If you’re an ongoing user, you may find better value in going for the contracted, bundled options. However, if you’re just looking for something short term, or want flexibility, a SIM-only option may be the way to go. If you’re a consistent user, you may find better value in the 12 month options, but if you just need a stop-gap solution, the no lock-in plans may work out better. Exetel offers plans from 5GB up to a massive 90GB, and all excess data is priced at $10 per gigabyte. Optus offers a choice of portable Wi-Fi modems on its 12-month mobile broadband plans, which can be bundled in as part of your service. Plans are listed below and start from $15 per month for 3GB of data, with Optus Sport streaming included at no extra charge. Other features Optus typically includes with broadband – such as data-free music and mobile TV streaming, and access to the National Geographic app – are also available on 12-month mobile data plans. Southern Phone is a telco that gives back to rural areas by donating part of its profits to regional councils. Southern Phone also provides some competitive mobile broadband plans, which are available as either a SIM-only or bundled deal; the ‘bundled’ deal means you pay $99 upfront for the dongle. Data is available from 8GB, up to 25GB. The below plans are powered by the Optus network, though Southern Phone does offer less competitive plans than run on Telstra’s networks. Should I get a dongle or pocket Wi-Fi modem? 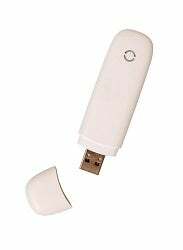 Dongle or pocket Wi-Fi modems are convenient ways to get mobile broadband, especially if your device does not support a SIM card by itself. They make it easy to connect to the internet, in some cases getting full-flight 4Gx gigabit speed capacities. Then there remains the big question – should I get a dongle or pocket Wi-Fi modem? A dongle is not powered on its own, but pocket Wi-Fi usually is. If you’re connected to multiple devices, pocket Wi-Fi might be the better option. However, if you’re doing work, say, on the train, or on a bus, then a dongle may work best for ultimate portability. In any case, if you can find an unlocked dongle or pocket Wi-Fi modem, and a compatible mobile broadband plan, then you’re onto a winner: but for convenience, going with a locked option on a telco plan is also viable. Finally, be aware that mobile broadband is more expensive than most other kinds of internet, and isn’t a good substitute for fixed or wireless home broadband plans.